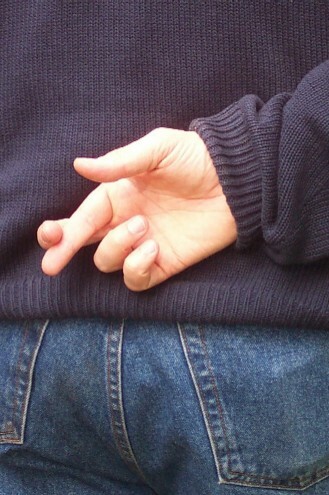 My teenage daughter — we’ll call her Franny– caught a friend in a lie tonight. Frankie found out because, of course, a different friend posted on MySpace that she was waiting for this same person to come over. So, duh, this girl is not grounded because her Mom was being weird. Now, this post isn’t about how easy it is to catch people in a lie, thanks to social media, though that’s still true. (My favorite one of those stories is still the Bank Intern and the Fairy Wand). Nope. Apart from the easy slander on Moms — crazypersonblamecatchers that we are — which I’ll ignore for the moment — this is really about the lifelong process of growing and culling your friendships, and finding those people who are strong enough to tell you the truth. The big huge truths, and the little stupid ones (“Uh, Dude? Is that the same shirt that Chris Farley wore in Tommy Boy?”). And you know what, Franny’s in high school — where people are organized by AGE, for heaven’s sake — so it’s hard for her to understand that there is a world out there where she’ll be able to find and recognize friends because they have things in common beyond the year they were born and whether they’re willing to have lunch together. See, at Franny’s age, and the age in which she’s living, friends are literally and figuratively a currency. How many do you have? But soon, I hope — and I hope that social media stretches to help — her understandings of friends will deepen. It’s not just about who will go to a party with you, or who shows up with a bright smile, posed in your Photobucket. It’s about finding the people who will appreciate and forgive you when you’re not perfect. Who will be straight up when they have to disappoint you, knowing they’ll be forgiven — but in a way that meets you as an equal, and takes responsibility for errors, not that careens into you and leaves the scene of the accident. Franny is stronger than she knows, and she’s going to be “one hell of a woman,” as the saying goes — because she’s so, well — frank. It may cost her some friends, and her lesson may be to occasionally learn when to turn up the tact and turn down the honesty. Tonight, Franny wanted me to tell her she was right, that this girl was terrible– that she should just cross her off her list of friends. But I wasn’t going to. There’s a place for that kind of friend — you don’t make that kind of person your best friend, because she’ll never be strong enough. She is what she is, and you know it. Franny should sigh, shake her head; maybe say, “that was stupid,” and let it go. And then go on, looking for the right kind of friend — which is, actually, just as hard to find sometimes as a lover. Someone who is fiercely honest, funny, smart, opinionated — and who, just like Franny, will occasionally need to be forgiven. Being able to forgive the occasional mistake or dishonesty is a sign of maturity – also, it keeps one from becoming stuck in a perpetual loop of resentment, hurt, cynicism. However, if the dishonesty is a pattern of behavior, the smart thing to do is to distance emotionally, and possibly forgive…but definitely not forget. This is a lesson I learned about emotional and physical abuse. Forgive you once, maybe twice, shame on you. Three or more times….write it into the permanent memory, and back off.